Founded in 1908, the National Association of Electrical Distributors (NAED) is dedicated to helping electrical distributors grow, prosper and provide value-added service to their suppliers, end-users, their employees and the public. NAED provides tangible, cost-effective, relevant programs and benefits that will help ensure a bright future for an industry with a rich and honored past. EC&M, the number one online resource for the electrical design, construction, operations, and maintenance industry. Through a mix of in-depth technical articles, market/construction forecasts, proprietary surveys/reports, and late-breaking news stories, EC&M is the ideal vehicle to reach the largest customers in the multi-billion dollar electrical market. The National Electrical Manufacturers Association (NEMA) is the trade association through which the electronic industry develops and promotes positions on standards and government regulations. NEMA's mission is to promote the competitiveness of its member companies by providing quality services. The world's largest technical professional society -- promoting the development and application of electrotechnology and allied sciences for the benefit of humanity, the advancement of the profession, and the well-being of its members. The DesignLights Consortium ® (DLC) promotes quality, performance and energy efficient commercial sector lighting solutions through collaboration among its federal, regional, state, utility, and energy efficiency program members, luminaire manufacturers, lighting designers, and other industry stakeholders throughout the US and Canada. 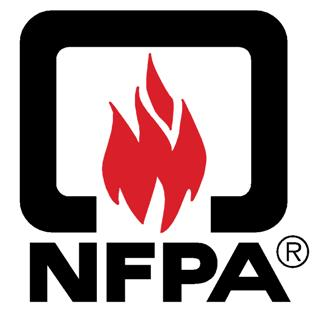 Among many other services, the National Fire Protection Association developed and maintains the National Electrical Code, which is the the standard for electrical work in the industry.